At Fuji Ramen, as you hand back your empty noodle bowl, Kosuke the shop-master says, I’m closing next Sunday. 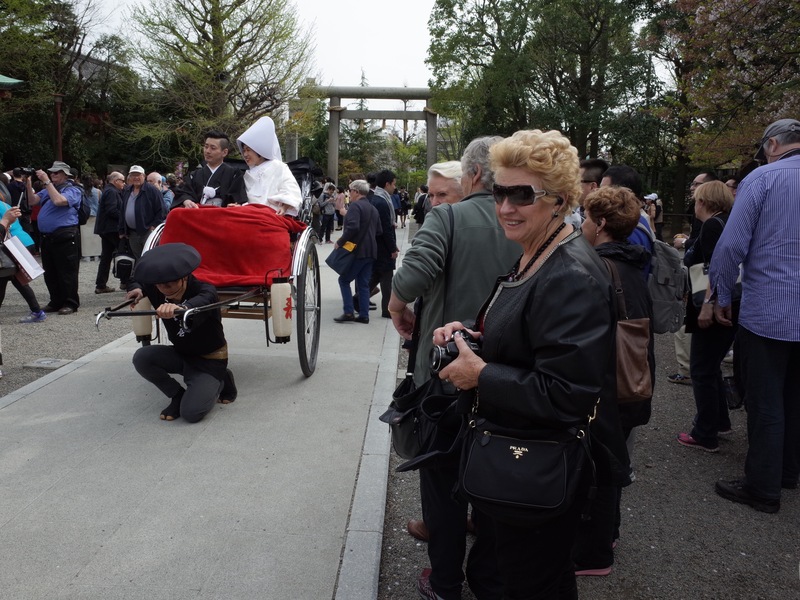 I’m getting married at Asakusa Jinja, in traditional style, my bride and I are even riding in a rickshaw for photos. Well, well! you say. Congratulations! Asakusa Shrine, huh. That should make for some spectacle. Sunday 3pm, tourists mill over the gravelled courtyard. Japanese, Chinese, Thais, and Europeans overflow from neighbouring Sensoji temple. 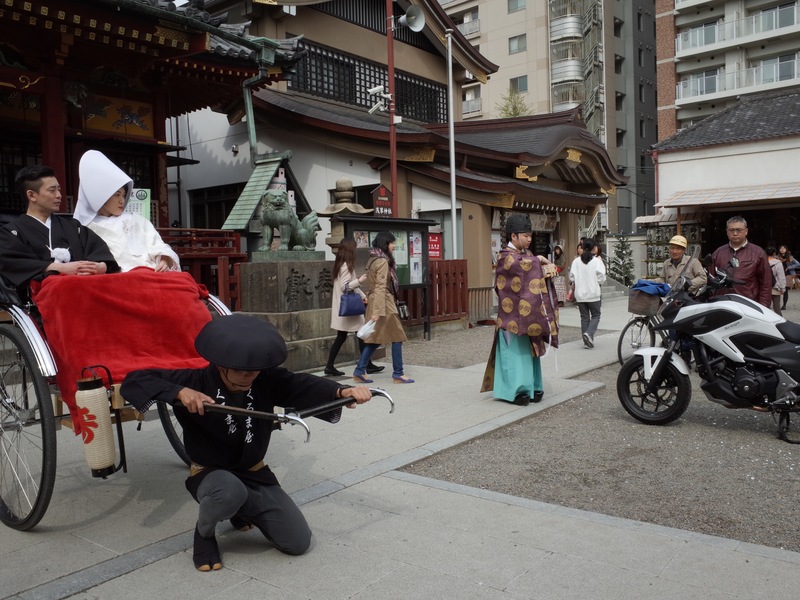 They wander the compact grounds, checking the gold-embellished o-mikoshi portable shrines in their sacred store-house. Near the gate a monkey trainer sets out props for a performing monkey show. Closer by, a mature man wheels a sleek white Honda motorcycle. There’s no sign of the newlyweds. 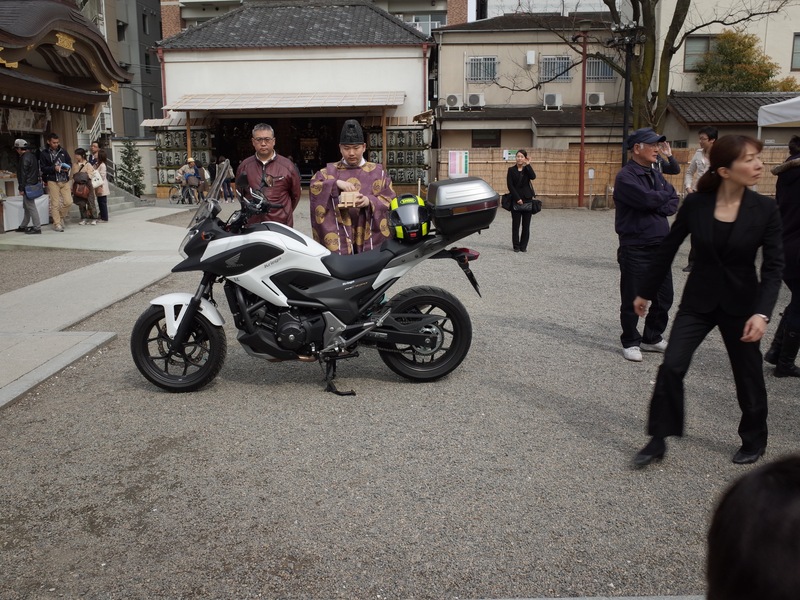 Then a purple-robed priest appears – and starts to conduct a blessing ceremony for the bike. Now they arrive. 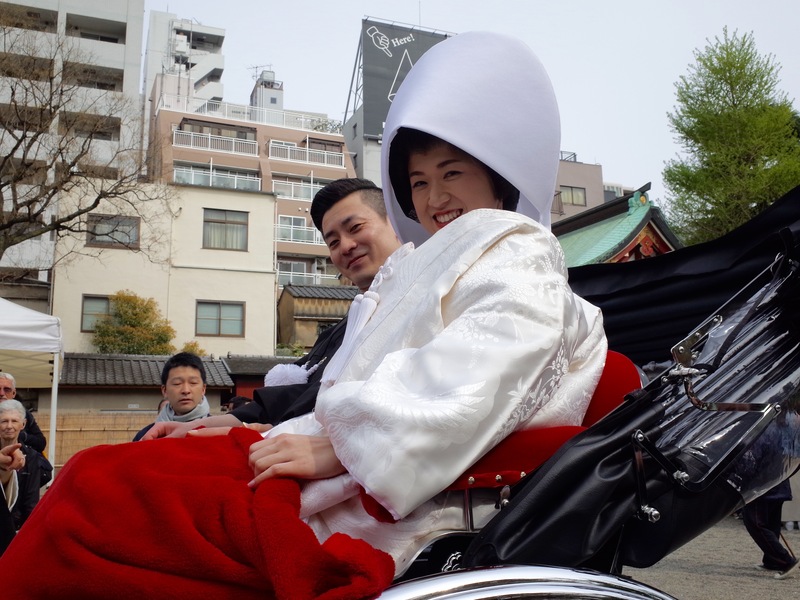 People turn to look as the shiny black and chrome rickshaw bearing a debonair Kosuke and his new wife in her white headdress rolls down the path. The driver angles the vehicle for family photos. An Australian woman behind you in big sunglasses gasps repeatedly at the dazzling bride; all she can say is, Beautiful! Beautiful! Behind the loving newlyweds the priest flutters white confetti over the Honda.